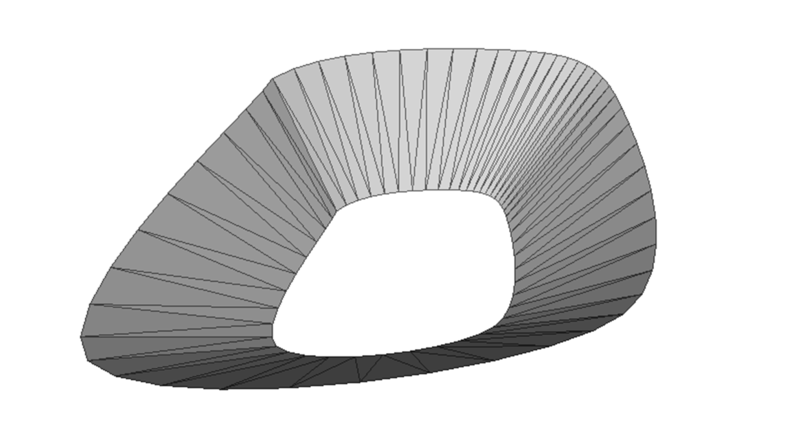 In the simulation of physical processes and phenomena overall there is a problem of numerical solutions of differential problems in partial derivatives. One of the methods for numerical solutions of mathematical physics equations is the approach, based on the finite difference approximation. However, the major drawback of this method is the need to use orthogonal hexahedral mesh. While solving problems in practice, sometimes a complex geometric configuration of the computational domain (for example, see Figure 1) is used, and therefore, the drawback, mentioned above, is enough critical. Due to the aforesaid, there is quite a natural problem of the geometrical configuration approximation of computational domain by cell faces of the given orthogonal hexahedral mesh.